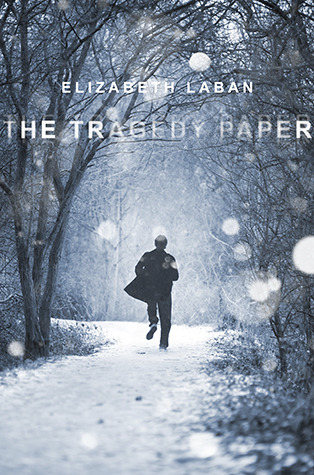 The Tragedy Paper by Elizabeth Laban and The Dream Thieves by Maggie Stiefvater both involve boarding schools, and that’s pretty much where the similarities end. One is a standalone work of realistic fiction, while the other is a middle volume in a fantasy series. How do I even write about The Dream Thieves, the second volume in Stiefvater’s Raven Cycle, without spoiling both it and the first volume? The Raven Boys ended on a huge plot twist, and that’s where the second volume takes off. I can say that (like The Raven Boys) The Dream Thieves is populated by a large cast of quirky characters and set in a small, quirky town. The meandering plot — a search for the grave of ancient Welsh King Glendower, who’s believed to be buried somewhere along the ley line that runs through Henrietta, Virgina — isn’t so much of a story as it is a world for the characters to inhabit. The Raven Cycle itself may as well be Stiefvater’s Cabeswater: the place where she goes to steal stories from her dreams. Two new characters, the enigmatic Gray Man and villainous Kavinsky, shake the loose plot even looser. At the center of the story is an intriguing heroine, Blue Sargeant, who is the only non-psychic member of a psychic family. Without her, the story would fall apart. I feel that The Raven Cycle would make a better television series than book series. The cleverly-barbed dialog has a screwball rhythm and sensibility to it that I would love to hear coming out of the characters’ mouths. I found Dream Thieves frustrating for much of the first 200 pages and then — just about halfway through — all the seemingly random events came together into a recognizable plot. The back half built steadily to a gripping climax that ends with … another plot twist. I began reading The Tragedy Paper immediately after finishing Dream Thieves, and at first I really missed the rapid-fire dialog. Laban’s writing felt plain in comparison. However, her tightly-plotted story (which is a sort of mash-up of Looking For Alaska and 13 Reasons Why) pulled me in very quickly. In a dual narrative, high school senior Duncan Meade becomes the custodian of a series of recordings left behind by the former inhabitant of his dorm room, an outsider named Tim Macbeth. Tim’s recordings recount his time at the school, where he was instantly drawn to the seemingly unobtainable Vanessa (he’s albino, she’s beautiful, and her boyfriend is the most popular jock in school) who is, curiously, just as drawn to him. Soon I became as engrossed in unraveling Tim’s story as Duncan is. The tragedy that befell Tim and Vanessa during the previous school year unfolds gradually, teased and hinted at periodically by Duncan’s own painful memories. I didn’t want to put this book down, and it was a much faster read than The Dream Thieves. When I had finished, I had no idea which book I liked better. I enjoyed both. Both had strengths and weaknesses. I had to sleep on it before deciding that the characters The Dream Thieves are more likely to stick with me. It might work better as a television series, but it would be a series that I would watch every week, even binge on, and perhaps obsess over between seasons.